Carrick on Shannon isn’t called the Hen and Stag capital of Ireland for nothing. It’s just mighty craic from start to finish. And full of hens. Stay in town centre self catering accommodation for your Carrick-on-Shannon Stag Party. Afternoon of Sports: Watch sports in a top bar on big screens! Because we know you don’t want to miss the big game. Brewery Tour: Love a good Beer? Then head to the source, learn how it’s made and enjoy a sampling. Shooting: This is a fantastic and very unique activity to try for your Stag do! Craft Beer Experience: The brewery team will talk you through the beers as you sample their IPA’s, Ales, and Barrel aged beers. Paintball: Enjoy this heart racing activity for your Stag! BBQ: This can be organised if you don’t feel like heading straight back to town after Paintball. Booze Cruise: Ideal for the whole group and great craic!! Zip Wire: Enjoy soaring through the air on a zip wire for your stag! Clay Pigeon Shooting: One of the most popular stag activities to try! Pull! Bubble Soccer: A great laugh playing soccer in a zorb ball! So much fun from start to finish lads! Culchie Craic Stag: Loads of great activities in this action packed adventure to Culchie land! Virtual Racing: Experience the feel of racing on tracks all over the world with loads of cars to choose from! Flight Simulator: Have you ever wanted to fly a plane? Here is your chance to try it! Because with the top of the range equipment you will truely feel like a pilot! Quad Biking: Enjoy this adrenaline filled activity for your Stag Party! Dragon Boat Experience: Something new to try for your Stag….great bonding activity as everyone paddles together! Comedy Hypnotist Show: 90 activity show, featuring comedy hypnotist games comedy sketches and jokes. Activity takes place in a private party room. Bare Foot Broken Glass Challenge: Take the challenge of your life and walk bare foot on broken glass, Full training and lots of Fun. Must be sober for this activity! Whiskey Tasting: Whiskey tasting session in central bar. Sample 4 Premium whiskeys with our in house connoisseur. Stand Up Paddle Board Lesson & Safari, this activity is a great laugh….so find out who can stand up! Rowing Boat Experience….a fun water based activity for the afternoon! Karting: An adrenaline pumping activity with a podium finish! Game Pod: Unleash your inner gamer and enjoy a gaming session with your friends, we bring all the gear to you in a mobile van. The gaming theatre has six 43 inch 4K screens and six Xbox ones and PlayStation 4 pro consoles, there is also a Nintendo switch handheld console. All of the latest games such as FIFA 18, Forza 7, and Fortnite to name but a few. In addition we have some great food lined up in one of the top bars in Carrick on Shannon. Probably a good idea to line the stomach before a big night on the town. Or if you prefer a BBQ we can organise that. And, it’s followed by a round of shots in a top bar. And when you are ready to throw some shapes, we have VIP entry, table service, reserved area and a round of beers for your group in Carrick’s best nightclub! 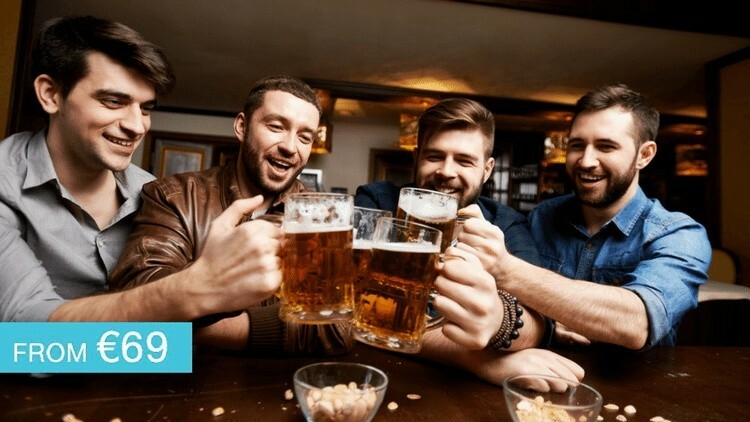 Your full stag party with prices starting at only €69pp! 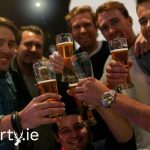 Finally, contact us today for more information on a Carrick-on-Shannon Stag Party!